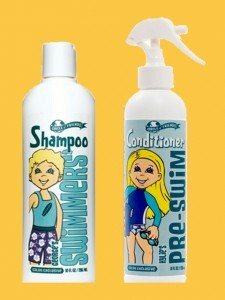 Swimmers haircare at Kids' Hair! | Kids' Hair Inc.
Swimmers haircare at Kids’ Hair! Great for long hair, an exclusive blend of moisturizers and vitamins that prevent pool chemicals and salt water from penetrating hair. Just spray liberally on hair and comb through before swimming. A gentle, tearless and clarifying shampoo, perfect for toddlers. 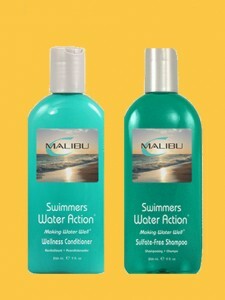 Great shampoo to use right after swimming and day-to-day throughout the summer. Safe for all hair types, gently cleanses hair and scalp while removing build-up from pool chemicals and hard water minerals. Leaves hair very soft and manageable, great for kids who swim multiple times a week. Can be used on swim days or day-to-day in the summer. One Response to Swimmers haircare at Kids’ Hair!